The Kivuli Project is non-profit Christian organisation managed by a board with representatives from both Australia and Kenya. 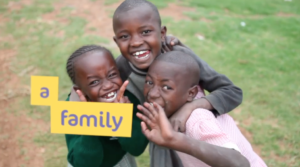 It is registered as a Charitable Children’s Institution (CCI) and a Non-Governmental Organisation (NGO) in Kenya and as an Incorporated Association in the state of Victoria, Australia. The organisation was founded simultaneously in Australia and Kenya in February 2010. Kivuli Project is committed to following Jesus Christ’s example by showing practical love to the people it encounters in Central Kenya. Kivuli Project currently depends on the generous donations of individuals and businesses, as well as volunteers and partners, to help us carry out our work.